HELP is on the way for a family of five. including a nine-month-old baby, left homeless after fire destroyed their San Francique home a week ago. After a story about the Mohammed family’s situation was published in Newsday’s Wednesday edition, members of the Ash-Nad Foundation visited them. The team is now arranging to put up a prefabricated house on an empty lot in San Francique for the family. One of the co-ordinators of the project, founder Ashmead Ali, told Newsday an officer was sent to the site to assess ite and once the weather is good, work will start on Saturday morning. Today scores of good Samaritans from across the country also reached out to help the family, offering groceries and clothing. Some Newsday readers have arranged to deliver the supplies to the family, while others have opted to have supplies delivered to Newsday's South office. 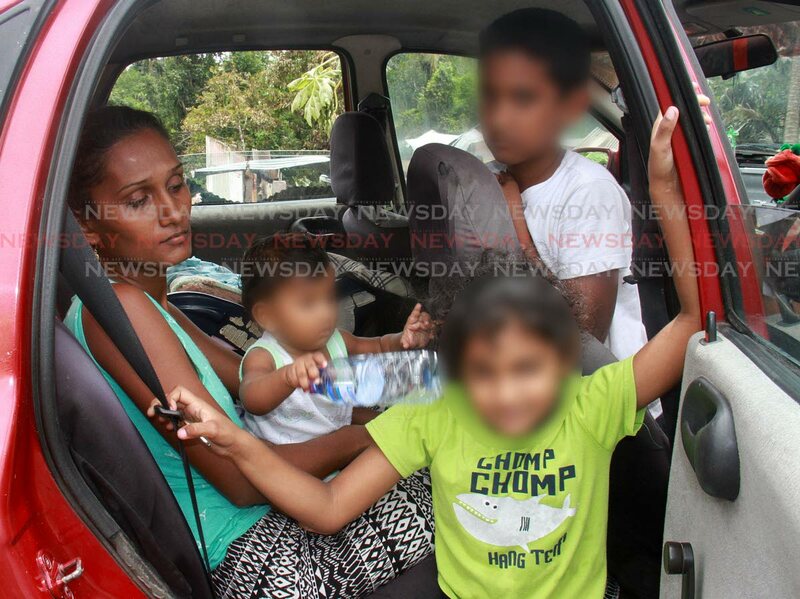 Hamid Mohammed, 35, his wife Priya, 26, and their children – nine-month-old Jerimiah, five-year-old Jessica, and Amit, nine – were left homeless when their house at Sukal Trace, San Francique burned down on September 20. Priya and their two other children are now sharing a room with a relative in San Francique while Mohammed and Amit have been sleeping in their car. Mohammed’s father Dilip Singh, 79, who was trapped in the house, was burnt to death in the fire. His wife Rosie, 78, was burned while trying to rescue him and is in the San Fernando General Hospital. Rosie was temporarily discharged to attend her husband’s funeral on Saturday. Yesterday Mohammed cried tears of joy as he spoke to Newsday. “I just can’t believe this. I am speaking to you and my eyes is filled with water. This is the first time I have smiled in seven days, you know. Police said the fire started at about 11 pm and Mohammed was able to grab his wife and children and run out of the burning house. He tried to rescue his father but could not. Reply to "Homeless family to get prefab house"